Schools, Medical, Business, Pensions; Professional Legal, Banking & Portfolio Investment Support, Advisory, & Guidance. Foreign Investors' Advisory Services established 1989. Valuations, Deposits, Finance, Location, and Life-Style Guidance. All Property Types: Off-Market, New-Built, Self Design, Historic Refurbishment. -The location map is ‘wrong’.. Advising International Institutional & Private Client Investors on Real Estate Investing Transactions in Turkey since 1991. Why a Property Finder Service...? For the simple and most obvious reason, often overlooked - an estate agent works for the seller of a property - not the buyer. If you have any doubt about this, there is a simple test to prove it- inform an agent you did not find anything on their website that you liked and ask them to find you a property from the wider market- they may say they will, but they never do … the only thing they will show you is their listings of property from their clients, the sellers. The best you can expect, is that they will show you a new listing when they have one. If you need further proof, try selling a property, and listen to the agent justify the high commission charged, by the need to have effective negotiation skills to sell for the highest price possible... ! For a property re-sale, a seller usually says to the estate agent, ‘well, I want X00,000 for my property- anything above that is yours to keep.’ And so the estate agent inflates the price up of the property to make his commission. And if the agent can’t find a buyer at those high prices, he wont sell it unless the buyer pays a commission! 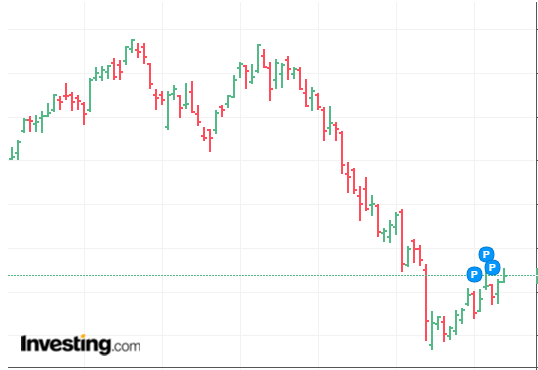 And let's not forget, the agent is working against the buyer from the start, trying to drive the price up as high as possible. These practices create circumstances where the agent is in the day-to-day business of continually making misleading statements to both buyers and sellers. And so it is no surprise that agents can only be relied on to do two things: the first is to get paid their commission somehow, anyhow. The second, is to use any number of misleading statements to buyers and sellers to close a deal. Neither a buyer nor a seller should believe anything an agent says – never. A buyer should have all documentation for the transaction checked, and should never pay a ‘reservation’ deposit. Buying FROM an Agent or WITH a Property Finder...? 'We are about to cover some things that may be surprising- these are the unspoken truths about the real estate ‘business’ and the way it’s conducted. And much of this concerns real estate agents, because they are such a large part of the market- their storefronts are everywhere- on main street, and on the internet. So the first reality check is to ask why? And the answer is obvious- because they are selling property. That’s right- they need these store fronts because they are working for the owners to sell their properties. So let’s be clear about this at the start- real state agents do not work for the buyer of the property- they work for the seller, because the seller pays their commission, and to get that commission, they invest in storefronts and displays and advertising and promotional releases and the rest. Somehow this is a key fundamental point buyers often overlook, usually as a result of the persuasive tactics of- you guessed it- the agent ! Persuasive they may be, but that is not a good reason for a buyer to believe them… on anything, no matter what they say, the word is ‘never’. When I started out buying my first property thirty five years ago, I naturally trusted the agents to guide me…. Because like most people I just drove around the streets I liked, and looked for ‘sale’ signs- makes sense, right? I wasn’t aware there was an alternative, until after my first struggle to get the facts about a property from an agent. Frustrated and incensed, I did some more research, and discovered there is another type of real estate service that avoids all the hassles of dealing with these seller’s agents. A service that works for me, the buyer… without the seller’s paid commission salesmen involved at all. That was both a relief, and pleasant surprise..! This other type of real estate business that works for buyers is called a sourcing agent, or property finding service. Never heard of them? That’s because they do not have the huge budgets to spend on advertising property that goes with an agent advertising their brand – profits that an agent makes from the seller’ commission. And guess whose paying that? Yes, most often it’s the buyer paying by purchasing at an over-stated price, which the seller receives, and the agent gets a share of. See how it works? Not in favour of the buyer…! With property finders, quite often it is possible to purchase direct from an owner without an agent involved. And what’s more, property finders are negotiating with the agents all day every day, and they are much more experienced and knowledgeable on how to deal with agents and their tricks, than you or I. They have much more information on property valuations and recent sales prices and use it to negotiate price downward. In addition to being a better strategy to buy property at a lower negotiated price, a buyer usually saves on fees also, because property finders’ services are always less than a comparable commission that an agent builds into the sales price. How Property Finder cuts costs...? 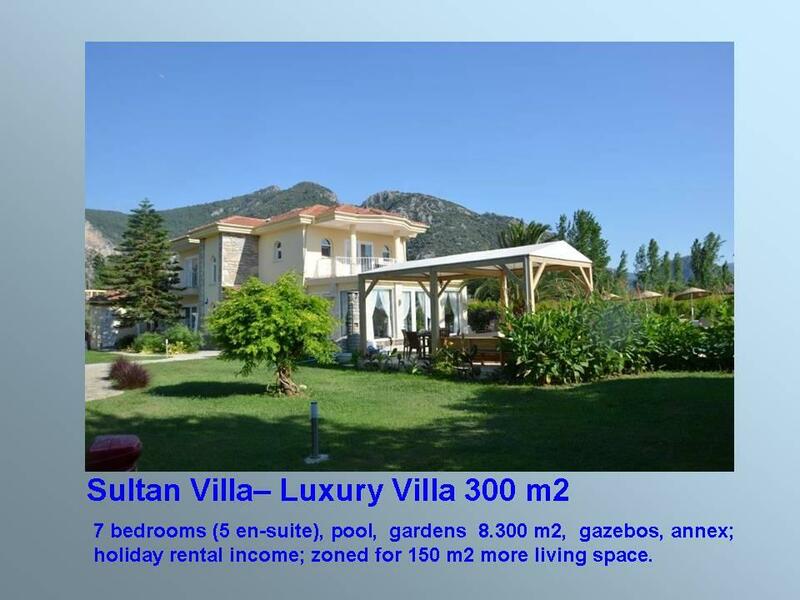 When first beginning a search for property in Turkey, the first impression of agents is quite positive, as they are skilled at presenting themselves as helpful and re-assuring. And then learning the facts, it is often shocking to later find out how much was untrue of what they have told, and how little work the agent actually does for the buyer. The opposite is true using a property finder service, which includes many added benefits. 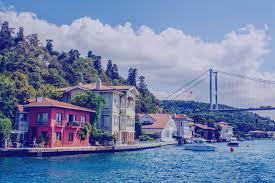 To find the property meeting a families needs they prepare a Fact Finding Report that details those requirements and the specific locations that match, in Istanbul or local coastal areas of Turkey. And they provide the legal oversight to make sure the property is legal and the risks of transferring title, and conveyancing, are properly managed. This is really important as it turns out, because it isn’t really safe to do it yourself unless you know what the issues are and what questions to ask. Many buyers think they do, at least know a little, but in reality that 'little' can be dangerous, and create misplaced confidence… with the mistakes learned later ! So it’s a good job to have some one who does know, and can take over as soon as the mistakes are realised, or ideally, before they are made. Having a Property Finder doing the work for you can be a real financial life-saver. legal search, title transfer, settlement payments, more... .
How does a Property Finder work...? 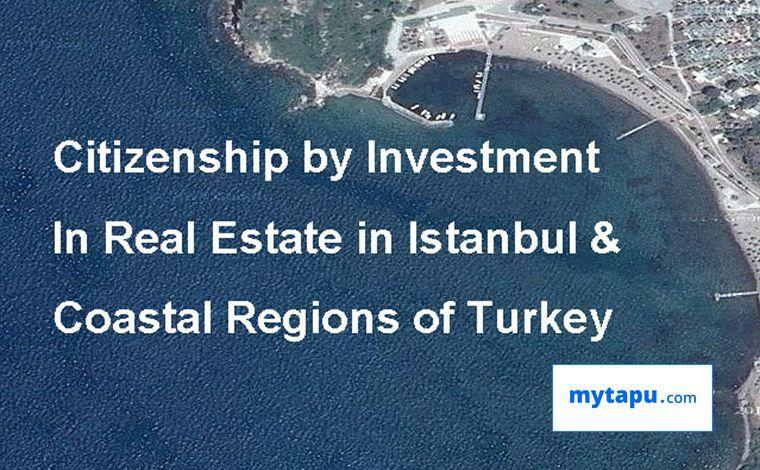 With more than 25 years experience in real estate investing in Istanbul and Turkey, at mytapu we know where and how to find property. Sourcing property, searching for and finding real estate, to satisfy investors' requirements regarding lifestyle locations, rental yields, off-plan, new-built, re-sale, re-furbishment, bank re-possessions. Avoiding the dangers and risks of glossy websites, and misleading agents… this is our business. Serving international investment funds for more than 25 years, we bring those same high standards to work every day, serving private client residential property investors. In the early days, as they were seeking investment, we have come to know personally the owners and CEO's of the portals that dominate the Turkish real estate market today. And our internal client relationships offer an excellent channel to source 'off-market' deals- these relationships include more than 3,000 foreign investors that have purchased property in Istanbul and Coastal regions in the past ten years plus; Turkish HNWI Family Offices for whom mytapu principals have previously performed private client banking and investment banking services, including the owners of eight investment banks, their CEOS' attorneys, advisers, etc. Simply put, there are no estate agents for Turkish real estate, having comparable client relationships in terms of reach, size, or trust. These are the private networks we access to source and find private, off-market deals. How a Property Finder reduces a buyers cost of purchase? Second, a property finder does the specific things required on each transaction to ensure the buyers’ rights and interests are protected, and for each of these tasks, charges simple reasonable fee. In this way the buyer is assured the necessary things that need doing are going to get done, without worrying about the much higher legal costs of having to pay for things to get done after the purchase is completed (the usual outcome). Misrepresentation – it is common for agents to exaggerate or mislead customers regarding a properties location. The most common practice is to refer to a property as being in ‘central Istanbul’ when it isn’t, and often it is 20-30 kilometeres away. Legal Documentation- relying on a foreign buyer’s lack of knowledge about legal documentation in Turkey, agent’s commonly will ignore the issue of permits and documentation that shows whether the property legally complies with planning permission and has the necessary permits. Purchasing Procedures- agent’s will lead the buyers down a path which places all the risk on the buyer, with no advanatages, and can result in a costly outcome, often requiring thousands of EUR in legal fees to rectify. Deposits- agents commonly insist on receiving a 5% deposit from a foreign buyer, which ‘reserves’ the property, when in legal reality, it does not do this, and there is no requirement to pay a deposit, and a buyer should not, without a legally valid contract. Legal Contracts- the majority of legal contracts agents provide do not protect the buyers deposit or rights and are not executed in a legally valid manner. Valuations- agents follow a common practice of arriving at their own valuations based on nothing more than a whim for sales purposes, while all along a legal and appraised valuation report is never discussed or mentioned. Payment & Banking- to advise and assist the buyer in establishing bank accounts and arranging payment documentation for the property purchase. High pressure tactics- there is no end to the psychological tricks and sales tactics used by agents to get a deposit, and usually once it is paid, the agent then does little else to look after the interests of the buyer. A buyer should never believe an agents verbal response when asked about these questions- a buyer should instead always request verifiable documentary evidence, i.e. written proof. The issues above waste a buyers time and money, often travelling and arriving just to be dis-appointed, when all along there is a better alternative way to proceed with the purchase, and protect the buyers rights and capital - the way mytapu.com procedures are designed. a solution that ensures the buyer benefits from buying at the lowest price possible- they agree with the buyer to receive a portion of the price savings achieved between the listing sales price, and the price negotiated down with the seller. And the advisors are real experts, they know the best way to do this, applying several different techniques that are tried and trusted. In this way the buyer is guaranteed to be buying at the lowest price possible. Please follow the link here If you have any doubt about the advice received from mytapu.com, which rely on more than 45 years of dealing with real estate matters. These articles are so popular among clients, the three thousand + foreign property owners that have been advised on property purchases in Istanbul and coastal regions of Turkey over the past 15 years, and their friends that are now new buyers, that for weeks continuously there are more than 200 pages read every day. Finally, the most important reason to use a property finding service is ‘local knowledge’- specific things in specific local areas that you will never find out about until long after you have bought- and then it’s too late. If local agents would help out in this regard, that would be a good reason to consider using them, but the reality is, rarely can one be found that will, because they are working for the seller’s commission, as already explained, and they probably have properties listed for sale in those areas you want to avoid buying in. if you are a seller, that’s the best way to sell your property- to let an agent find an unsuspecting buyer...! Have You seen a property at an agent's? Luxury Lifestyle in the Villa of your Dreams? 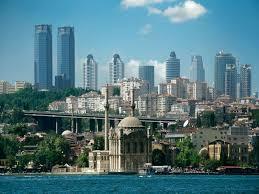 Turkey is a wonderful place to live. The lifestyle attractions are plain to see. Visit an on-line forum of foreign property owners, and you will find the overwhelming majority of foreign property owners there prefer living in Turkey, to their home country. Investing in property is a sensible decision. A sensible choice, but only IF you invest wisely and carefully. The one thing crystal clear from the experiences of foreign property buyers in Turkey over the last ten years- avoid being mislead by agents.